I am going to be hanging up my blog tour shoes within the next few weeks. 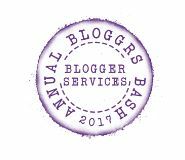 I have some great tours coming up over the next few months and some amazing bloggers are taking part, as always. All these ladies offer a great range of services, click on their links to find out more. I have taken part in blog tours organised by all three and they were great to work with. Professional, kind, and knowledgeable, you will be in safe hands with any of these ladies.